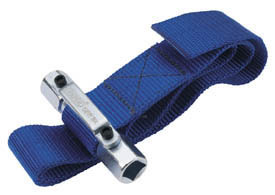 Heavy duty webbing strap 1000mm x 38mm with 3/8" x 1/2" square drive/21mm x 13/16" AF cam for tightening. Cam has plated finish for corrosion protection. Display packed.